Holy Cannoli - I haven't connected with you in a while! 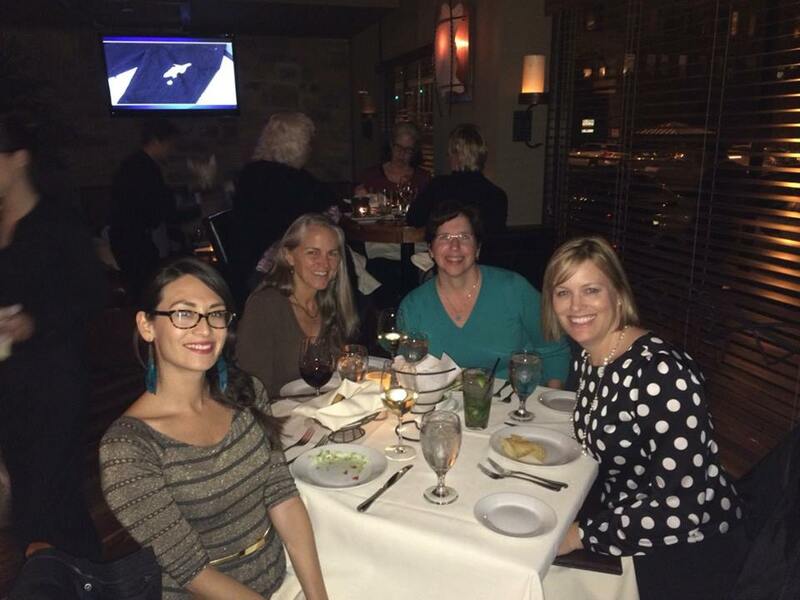 In October I began a brand new Make Your Mark Mastermind group with some amazing ladies. I've continued to work with private clients who are wanting to step up their marketing in an easy yet effective way. And in November I hosted my first ever live retreat in Austin to finish up the Make Your Mark Mastermind group that began last Spring. 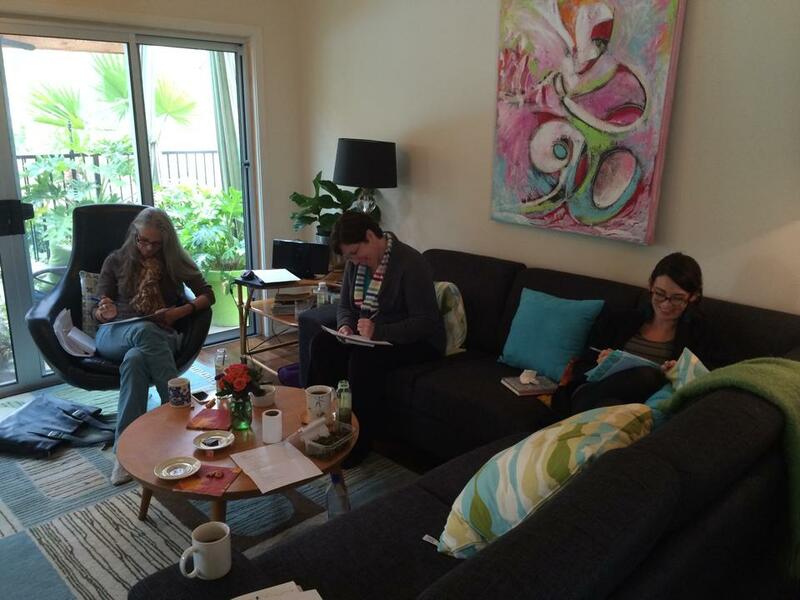 At the retreat we had a great mix of biz coaching plus mindset shifting. Here we are purging old truths, and creating new ones. Part of that is personal (more on that another time) and part of that is feeling some massive resistance towards making strides in my biz! Lately I haven't felt those creative juices flowing and it's been like pulling teeth to work on my biz! I find myself cleaning A LOT these days. And spending too much time window shopping online. And finding ways to fill my time with things OTHER than working on my business. At our retreat we talked a lot about resistance, and it made me realize just how HUGE it plays out in our businesses (even mine). We talked about Stephen Pressfield's The War of Art and his definition of resistance. He states that resistance is simply a force of nature - it's not out to get you personally! He says the bigger the dream, the more resistance you will feel! When we feel resistance, that it means that what we are working on is BIG and IMPORTANT that needs to be created. As I've fought with this pesky resistance myself lately, I used 3 things to help me bust through it and get going again (based on The War of Art), and I wanted to share them with you. In The War of Art on page 22 it states, "The most pernicious aspect of procrastination is that it can become a habit. We don't just put off our lives today, we put them off till our deathbed.Never forget - at this very moment, we can change our lives. There was never a moment, and never will be, when we are without the power to alter our destiny. This second, we can turn the tables on Resistance.This second, we can sit down and do our work." WOW . OK Stephen - I took your advice and decided to stop this newly-formed-bad-habit of cleaning surfing, napping etc. instead of working on my business. Time to snap out of it! Page 57 states,"If Resistance couldn't be beaten, there would be no Fifth Symphony, no Romeo and Juliet, no Golden Gate Bridge. Defeating Resistance is like giving birth. It seems absolutely impossible until you remember that women have been pulling it off successfully, with support and without, for fifty million years." LOL - so true! 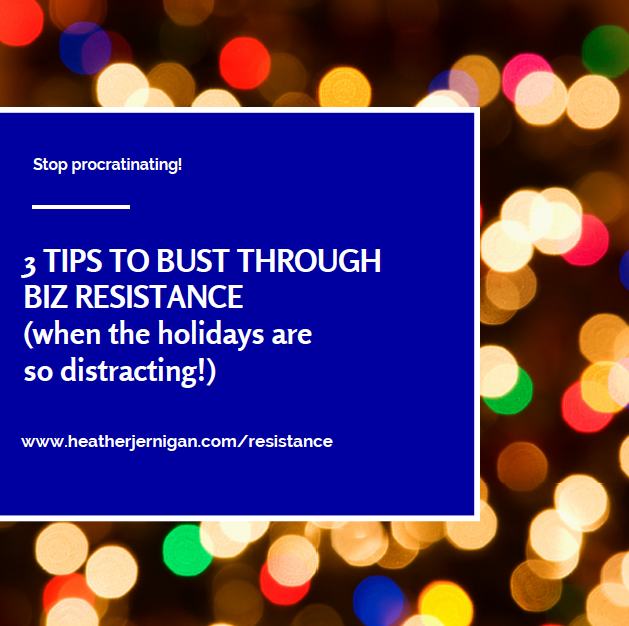 If I can birth and raise 2 beautiful, intelligent and perfectly capable babies, then I can surely conquer that darn resistance that I have been feeling and get on with my biz planning….Take that, Resistance! Page 64 states that "by performing the mundane physical act of sitting down and starting to work, [we] set in motion a mysterious but infallible sequence of events that would product inspiration" and "If [we] build it, [they] will come. Yup. We gotta just do it. So I cleared my calendar for a morning, packed my computer bag and headed to my favorite tea shop where I love to write. I mentally prepared myself and just sat down to work. It wasn't so pretty at first - I was kinda rusty but now I'm super inspired for what's coming up for me in 2015! I'll be sharing more with you about a way I can support you with this in the New Year!